Tomorrow I have a flight to Brussels from where I will travel around Belgium and Netherlands for 2 weeks in. It's really nice to get abroad again, especially since it's the best spring time over there. This also seems to be very busy season for antiques fairs: I will be visiting three large fairs on my trip. The first one, Eurantica Brussels –fine art & antiques fair, will begin on Friday where they will have some 150 stalls. 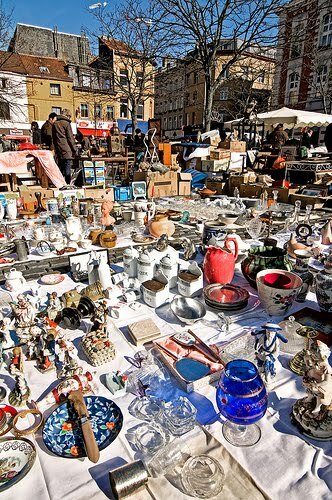 I was also recommended to visit the flea market at Place du Jeu de Balle. 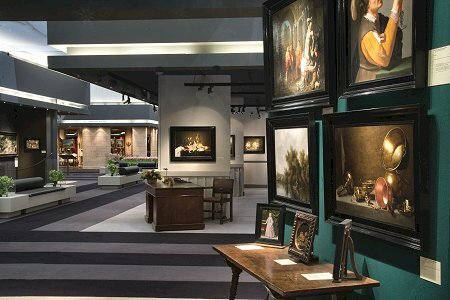 On the weekend I will visit Tefaf, the worlds leading art and antiques fair in Maastricht. I won't be doing any buying there, but it's nice to get to see items of that quality. 260 stalls. On the following weekend there's a more down-to-earth antiques market in Bleiswijk that seems like the most promising of the fairs for buying. It also has some 250 stalls. I will try to look for some esoteric antiques and old bookbinder's & printer's tools. Especially some old printing plates of interesting themes would be good. At some point I will publish numbered editions of the Pagan Archive books and old, authentic tools would really help on that. I have been trying to find addresses of some esoteric bookshops in Belgium and Netherlands, but there doesn't seem to be too many around. I'll be visiting one in Brussels and a couple in Amsterdam. Hi Vantaa, it Seems you had a busy week in March 2011, and The Antique Fairs were a grand success. Hi Vantaa, did you manage to find any by any chance? (i'm going there soon too and was doing the same sort of research without much success though!